Hanoi (VNA) - Thailand has proposed the imposition of anti-dumping duty at a maximum of 40.49 percent on Vietnam’s steel products imported into the country. This was reported to the Ministry of Industry and Trade’s Vietnam Competition Authority by the Vietnam Trade Office in Thailand. 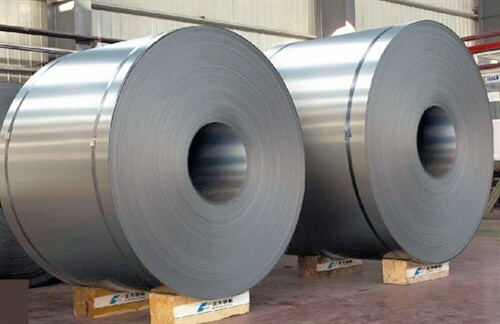 On September 20, the Thai Ministry of Trade’s Department of Foreign Trade (DFT) released its proposal on imposing anti-dumping duty from 7.94 percent to 40.49 percent on Vietnam’s cold rolled steel plated or coated with the alloy of aluminum-hot dipped galvanized at Thailand’s market. DFT will receive written feedback by October 6, 2016, from firms which will have steel duty imposed on them. It will then listen to the firms’ explanations on their cases at the department’s headquarters in Thailand on October 12. Thailand began investigating products imported from Vietnam in September 2015 upon receiving a request from the NSW.Bluescope Company and studying that particular case. This was the second anti-dumping lawsuit initiated by Thailand on Vietnamese goods. The first lawsuit in 2012 was for Vietnam’s cold rolled steel products imported to Thailand. In another development, Thailand decided to impose anti-dumping duty on welded stainless steel tubes imported from mainland China, the Republic of Korea (RoK), Taiwan and Vietnam within five years starting September 17, 2016. According to a report on the Royal Thai Government Gazette website on September 16, the duty was 145.31 percent for China’s stainless steel tubes, 11.96 percent for SeAH Steel Corp, 51.53 percent for other companies from the RoK and 12.29 percent for Froch Company, as well as 2.38 percent for YC Inox and 29.04 percent for other companies from Taiwan.